Grants of up to $500 will be awarded each school year directly to caring, dedicated teachers that intend to provide enrichment materials and supplies, and/or pay for activities that enhance their students’ educational experience. The grant will provide for teachers to put into practice ideas and teaching opportunities they may not otherwise have been able to accomplish. Materials and activities funded by the grant will support the Napa Valley Unified School District’s instructional goals. The Spencer Colton Gold Star Grants are meant to support creative and inventive teachers in developing learning experiences that will motivate students to care about learning and to aspire to “be all they can be.” Through the generosity of Barbara and Ray Brogliatti, and in honor of two inspirational teachers, Barbara’s father Robert Spencer and their friend, Yountville’s Herb Colton, the Grants will ensure that teachers will not need to sacrifice ingenuity or their own money to enrich their students’ educational experiences. 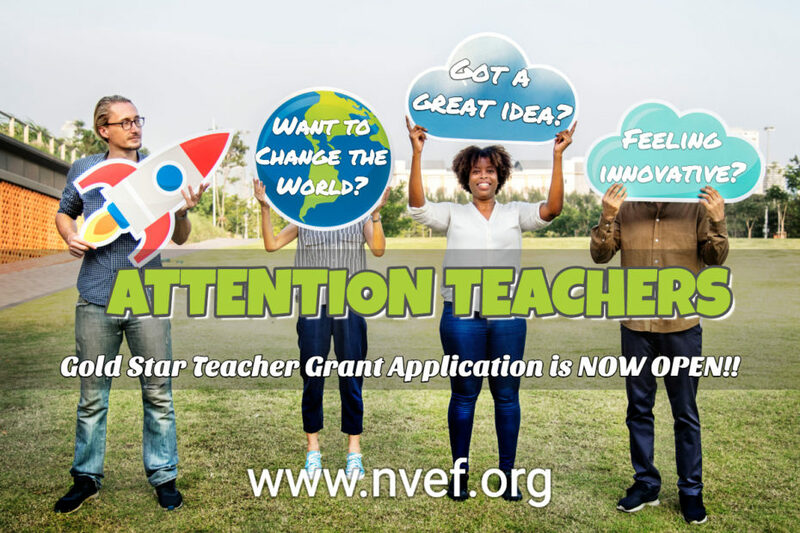 The Napa Valley Education Foundation is proud to offer the Spencer Colton Gold Star Grants to support and inspire the great work of Napa Valley Unified School District’s K-12 educators. Complete the online application and submit no later than September 21, 2018, by 5:00 PM. There is a $500 limit per teacher, and each teacher is limited to one request per year. Team projects: one teacher may apply on behalf of a team of teachers, requesting up to $500 per teacher. These grants are made possible through the generosity of Barbara and Ray Brogliatti and the individual and corporate donors of the Napa Valley Education Foundation’s We Heart Teachers campaign.